In our blog 4 Real Estate Agent Video Ideas, we listed 4 videos that you could upload to YouTube that no doubt would help build your brand. The 4 videos we highlighted were: going live at open houses, a question and answer session, client testimonials, and real estate agent education videos. All 4 should definitely build your brand. This blog isn’t as detailed as that, rather it points out what we feel is an obvious use of language that, unfortunately, many real estate agents get wrong. 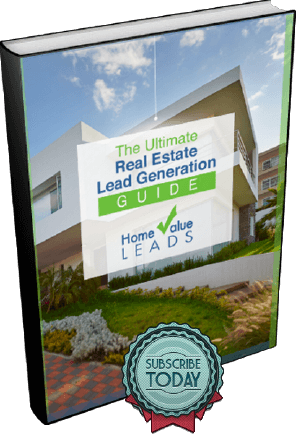 At Home Value Leads, we’re firm believers in using the word client instead of customer. Check out seven reasons why. Clients vs Customers: Why Saying Clients is Better! Have you ever stayed up late at night and seen an infomercial on a product that you felt like you just had to have? You end up shelling out the shipping cost so that you can test the product. When you get the product, you unpackage it and first wonder what it’s for. Why? The reason is because by the time you received the product, you’ve forgotten all about that late night session where you purchased the product in the first place. Customers come and go. They might become long-term customers, but there’s no guarantee they will. That’s why companies fight over the best shelf space at the grocery store. They want to sell products. They want to be front of mind. Customers might buy once and that’s it. Companies that must sell products in volume create ways to sell to as many customers as possible. They often provide discounts, coupons, put on sales, and provide more aggressive marketing. Real estate agents don’t do that. Aggressive marketing tactics turn off potential clients. Loyalty is earned. Most customers aren’t loyal. Apple has created a group of loyal customers, but even Apple’s group of loyal customers might be diminishing. Sticking with technology, think of how Verizon, AT&T, T-Mobile, and Sprint work so hard for our business. Sure, you must sign a contract, but all 4 companies give away phones, offer discounts, and try like mad to encourage you to make the switch from whomever you’re using today to them. That’s because they know that as a telecom customer, you really don’t have loyalty to AT&T, or Sprint, or whomever. Okay, now we get to why real estate agents like you should use the word clients instead of customers. First, and most importantly, clients stick with us. A client knows that if she has any question, you’re there to answer that question. A client won’t decide to change real estate agents if you’ve developed a client/real estate agent relationship. If you’ve only developed a customer/real estate agent relationship, you might never see or have contact with the person after closing. Clients get involved. They look to provide feedback. They want to be successful. Real estate agents that view individuals and families as clients and not customers want their involvement. Once we’ve developed a client relationship instead of a customer relationship, our clients appreciate our hard work. They provide pats on the back because they understand that it’s a long-term relationship, not a short-term relationship. Because customers are fly by night, we benefit only once from the relationship. We sell one home and that’s it. That’s not the case with clients. With clients we can sell two, three, four, many more homes as the client decides to upgrade. That’s long-term profit to us. The bottom line is that if we wish our clients to view us a certain way, we must view them a certain way. We can’t expect clients to appreciate our hard work, get involved, and stick with us if we think of them only as customers. We receive from our clients what we give them. If we call them clients, if we think of them as clients, they’ll consider themselves our clients. That’s how to build a long lasting relationship.